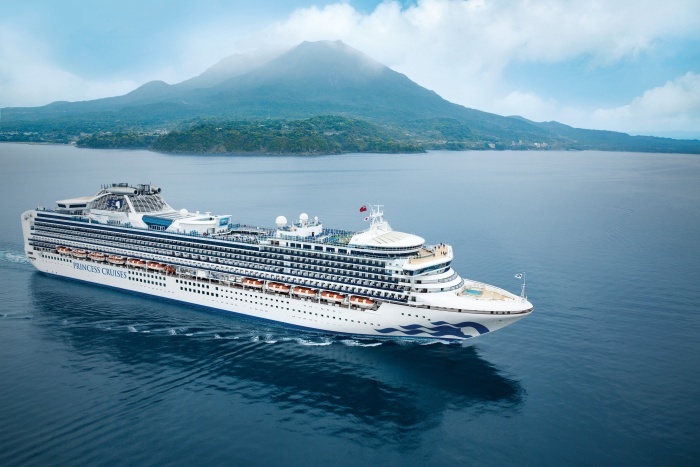 Princess Cruises’ 2,670-guest ship, Diamond Princess, has received a multi-million-pound two-week refit. The ship now includes enhanced entertainment capabilities and an upgraded spa and gym. Diamond Princess will be based in Japan throughout 2019-20 – including during the 2020 Olympic and Paralympic Games – with roundtrip departures from Tokyo and Kobe sailing to 50 destinations in 11 countries. The voyages will take guests to sites renowned for features and events such as spring flowers, summer festivals and fall foliage. The refit included improved surround sound digital audio on the top-deck Movies Under The Stars outdoor cinema screen, and audio enhancements in the Princess Theatre, Explorers Lounge and Club Fusion to ensure guests hear the best of live productions shows and guest entertainers. Also added were updated fitness equipment in the onboard gym and new furnishings in the Horizon Court buffet, as well as upgrades to the spa salon and treatments rooms. In addition, six new beverage menus will be introduced in various venues throughout the ship including The Sanctuary, Lido deck bars, Wheelhouse Bar, Crooners and Explorers Lounge. Diamond Princess is tailored for Japan cruising and gives guests the chance to enjoy local experiences onboard, such as the Izumi Bath – the largest open-air Japanese bath and garden complex at sea – a sushi restaurant and traditional Japanese entertainment.